So I was going to write a post about my crappy weekend that inspired the blog… I guess that can wait a couple days. Today when I picked my daughter up from daycare, she told me that she saw “sh-ishes” that day. Since they don’t have an aquarium at the daycare, I was curious. Her daycare teacher informed me that they went on a walk that day, and while walking by the creek in the near by park, they saw a bunch of fishing swimming in shallow water. 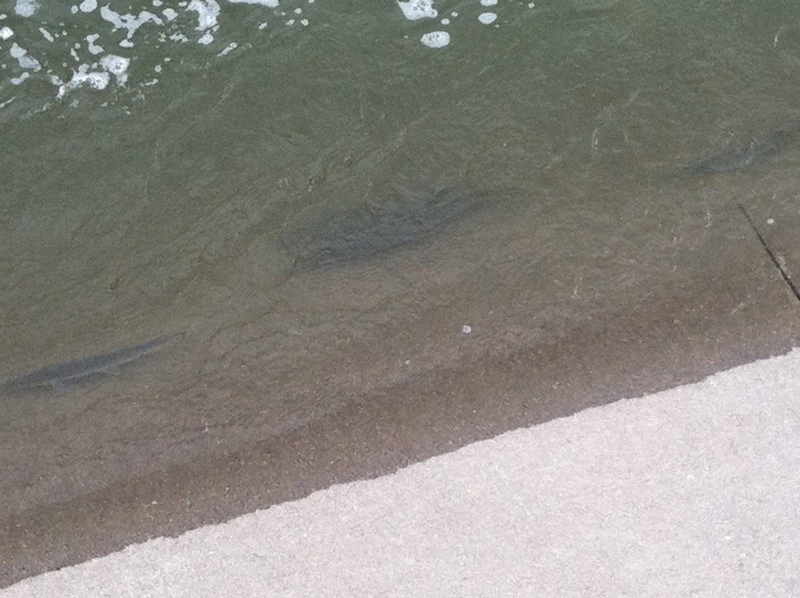 I assumed they were carp, but they went on to describe them as “alligator” fish… which kind of got me excited. They must have been Gar! Now, I don’t know what makes me crazy enough to want to catch a Gar at all, let alone on the fly. But I guess the lesson here is that no matter where you are, you will be surprised at how close fishing opportunities really are. I am not saying that everyone should go out Gar fishing; but fly fishing never ceases to amazing me… and this is a great example of why. Of course I needed my 2 year old to give me the complete scouting report! We walked down to the creek to find the “sh-ishes”. Of course my daughter was excited to see them again too. They looked catchable to me! Look close, they’re in there! 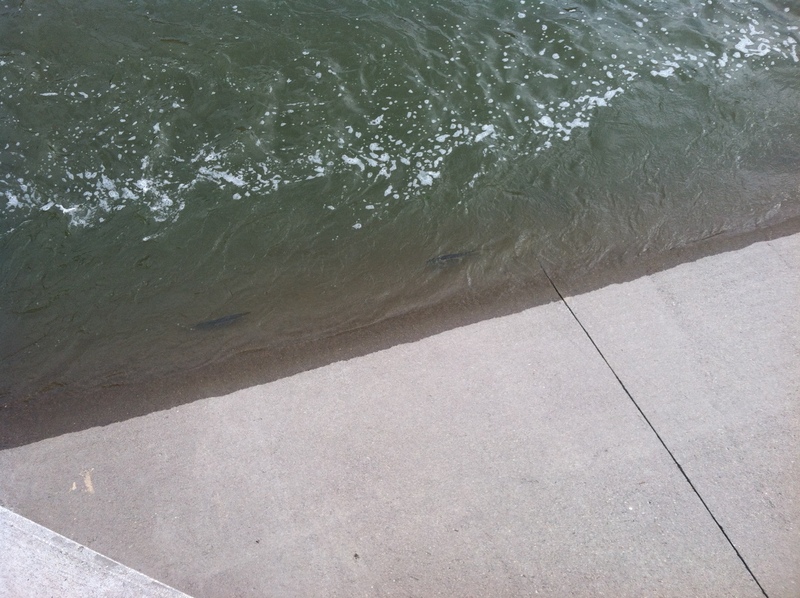 There was a whole school of them a little bit further up the channel (in a part that didn’t look like a storm culvert). Of course my daughter was excited to see them again; “Sh-ishes! Sh-ishes!” That’s my girl! How long before she can cast a fly?! Now all I need to do is tie some of those nylon rope flies I have been reading about on the internet… now that I have a “honey hole”! I guarantee you I will be the only fly fisherman in downtown Lincoln, Nebraska! At least the only one actually standing in downtown Lincoln and actively fishing!